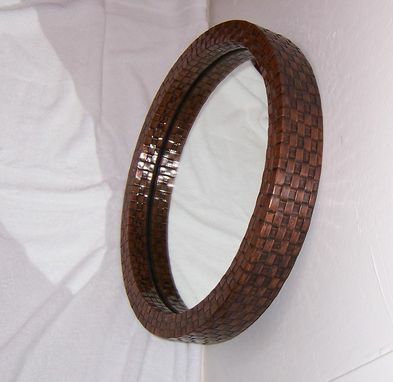 Hand weaved copper mirror designed in a box-style. 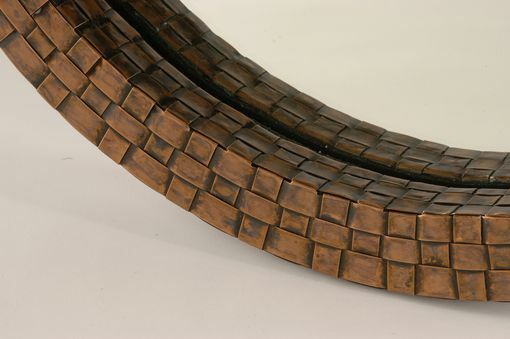 The copper is then finished with a brown patina finish (other colors are available). 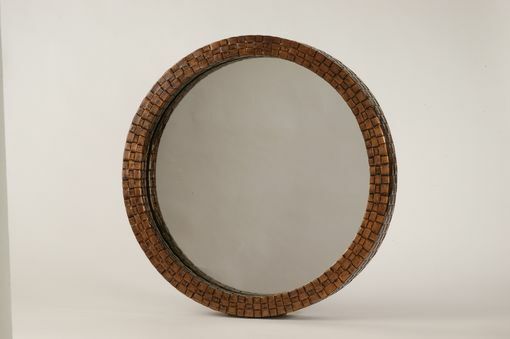 Very easy to care for and all mirrors are signed.